Honcho is excited to announce that the fourth edition of the Honcho Summer Campout will be happening August 16-19, 2018, returning for a second year to the beautiful Four Quarters Farm. Check-in will begin on Wednesday, August 15 so folks can get set up properly before it all starts, and check-out will happen on Monday, August 20. After getting to know our new woodland home in Pennsylvania, we're all ready to do this space proper. You can catch updates through our evolving 2018 website at www.honchocampout.com. Like last year, we have broken the fees up into pieces to let people pay this off throughout the summer if they need to. You can get everything all at once, or in chunks. 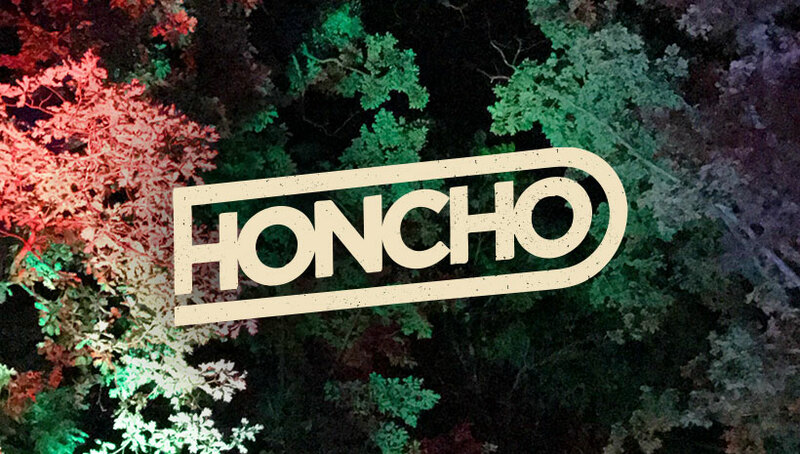 Purchase a Honcho Campout ticket first for $120. This is the main thing you need to do right off the bat in order to confirm your place for the weekend. Attendance will be capped at 600 for 2018, and we expect a much larger demand this time around. So don't dilly dally on this one. The following steps can be completed any time before August 1, 2018. This fee goes directly to Four Quarters Sanctuary to cover your camping during the festival. There are no daily charges, and check-in begins Wednesday afternoon in order to let folks land the perfect spot. You may pay this in cash when you arrive, but you will not be admitted to the festival until this is taken care of. Even if you purchased a Honcho Campout ticket. When all is said and done, the total cost for the festival is $185, plus what you'd spend on supplies, food, and drinks. All setup and tear down. You just show up and check in with Stouttent. Concierge hours during the day, plus on call for the entire weekend to help with maintenance, questions, or linens. Tall Bell tents with real beds and box springs. No air mattresses. You have an option of 1 queen bed, 2 queen beds, or 4 twin beds. All linens, pillows, bath towels and toiletries. Electric camping lanterns (2x) with USB ports for charging your small electronics. One folding camp chair for each person (1-4 people), matched to bed capacity. A mirror, two end tables, decorative rugs and pillows. Glamping check-in begins Wednesday afternoon with gate opening, and check-out happens Monday morning. Sorry, we cannot accomodate nightly rates as we want y'all to be with us for the whole thing. Guests are responsible for any damage caused to equipment. This year we are adding the option to donate to a fund that assists with travel costs for POC, trans and femme identifying family. During checkout, you'll be able to make a donation to the fund to help. For more information on how the application process happens, click here. For any questions regarding the campout or ticketing, email crew@honchopgh.com.